When I found out that this month’s Progressive Eats theme was Herbs, I immediately thought of Green Goddess dressing. 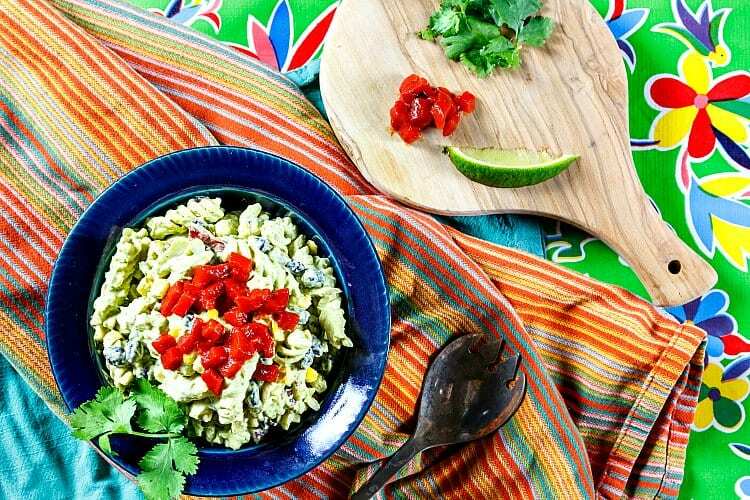 And then I thought some more and came up with a dish I’m calling Mexican Pasta Salad with Green Goddess dressing. Once I came up with the name, I had to figure out how to make it, and figure it out I did. It is most delicious–herbaceous, tangy, crunchy, creamy, a little spicy, and easily veganized as well. I’ll tell you how I made it at the end of the post, but first, let’s take a look at what our intrepid Progressive Eats band of bloggers got up to this month. It all sounds pretty great, right? We have an enormous rosemary bush growing outside in our garden, so I’m all over the lemon rosemary combinations, and as a cilantro fan, I say hooray for chimichurri sauce and cilantro vinaigrette! Once I’d landed on what sounded like a good idea to me, I went forth onto the Internet to see a)how to make traditional Green Goddess dressing, and b)to see if folks had made a Mexican version. Of course they had. The third item I wanted to check on was if anyone had a vegan version of Green Goddess dressing. And yes, that’s out there, too. I also remember making the supremely delicious Avocado Tomatillo Taco Truck Sauce from my friend Sandra Gutierrez’s wonderful book Latin American Street Food, so I decided to add some tomatillo into the mix as a nod to Sandra. You could absolutely use the resulting dressing on a green salad, but wow is it great with the pasta. 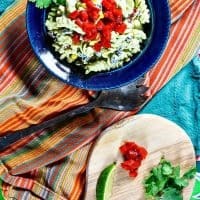 Customize your add ins as you like, and if you’re not vegan, add cheese and/or meat to make this a main course pasta salad, but do make this. I am here to tell you that this pasta salad needs to happen at your house at your earliest possible convenience. I think you are really going to love it. Love the sound of this recipe? Please consider rating and/or commenting. I love hearing from readers! And if you make this, and I hope you do, please share a photo with me on instagram by tagging @onlinepastrychef and using hashtag #pcorecipe or share on the Pastry Chef Online Facebook Group. I can’t wait to see your version! 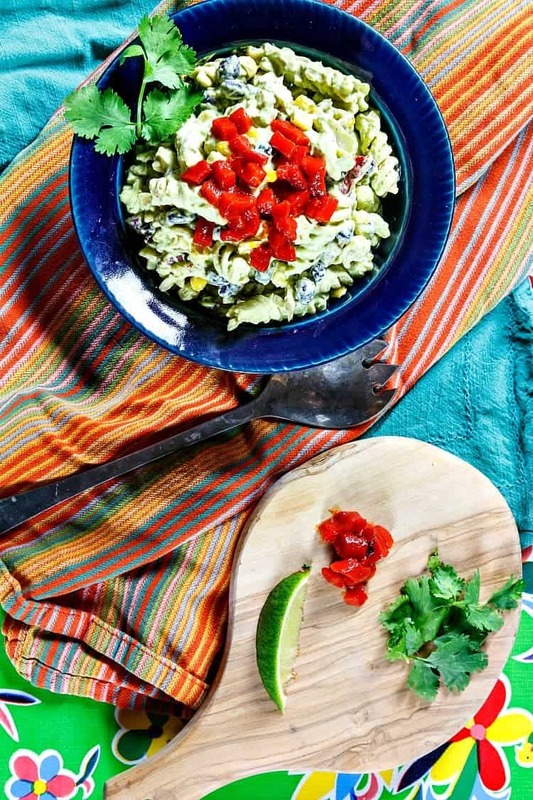 The Mexican Pasta Salad is full of fresh, bright flavors (thanks, Green Goddess!) with just enough spice to keep things interesting. And it's vegan too. Place all ingredients except the avocado, salt and pepper in the jar of your high speed blender (or regular blender). Add the avocado and puree until smooth. Cook the pasta in salted water until just shy of done. While the pasta is cooking, put the black beans, corn, red onion, red pepper, and green chiles in a large bowl. Mix in the vegan mayonnaise. When the pasta is done, drain and rinse in cold water until it is warm and not hot. Put the pasta in on top of the rest of the salad ingredients and pour the Green Goddess dressing over all. Stir together, taste and season with salt, pepper, and some hot sauce if you like. Refrigerate for at least a couple of hours to let the flavors blend, and enjoy. *I know fish sauce sounds like a weird entry here, but traditional Green Goddess dressing, like Caesar dressing, contains anchovy. I always have fish sauce on hand, and it makes a good substitute. Your salad will not be fishy at all, but if you're not vegan, give it a try. Good fish sauce makes almost anything savory you add it to lip-smackingly delicious. 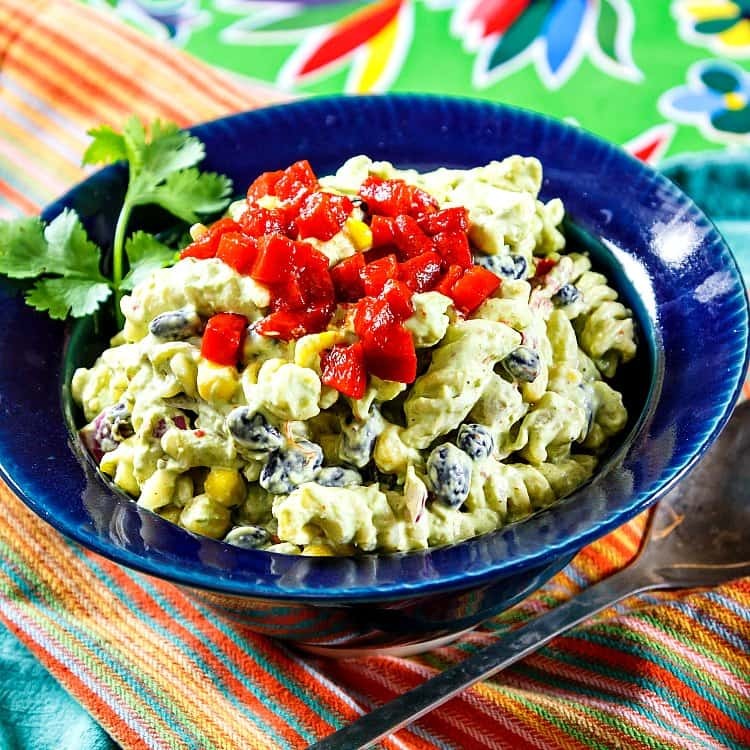 Enjoy the Mexican pasta salad, friends! Thanks for spending some time with me today. Take care, and have a lovely day. What a fabulous pasta salad! And the Green Goddess is a blast from the past—but even better!!! You’ve breathed new life into an old favorite Jenni! Again, superlative creativity with your recipes. I love this idea so much and will be making it soon – maybe tomorrow, LOL! Like the other commenters, when I see Green Goddess, I’m immediately transported back to my adolescence. I didn’t pour the Green Goddess of my youth on Mexican-style pasta nor did it have fish sauce as an ingredient. 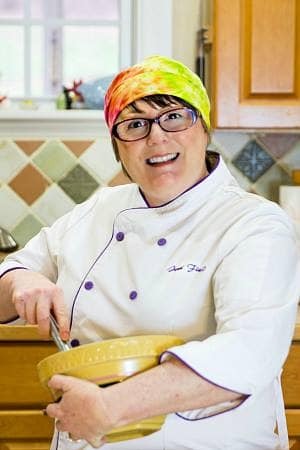 Still, I’m smiling at the thought of it as I read your updated recipe. Love this version.